A future star was born last night as 2016 Olympic bronze medalist Nico Hernandez turned in a stellar performance in his professional debut, stopping Pat “Slacks” Gutierrez in the fourth round of the “KO Night Boxing: History Begins” main event, which aired live on CBS Sports Network from Kansas Star Arena in Mulvane, Kansas. “KO Night Boxing: History Begins” was presented by KO Night Boxing LLC, in association with Kansas Star Casino, and sponsored by Miller Lite, Mel Hambelton FORD and TITLE Boxing. The large, hometown crowd of more than 3,100 had Hernandez (1-0, 1 KO) pumped to start the fight, in which he quickly established himself as the clear aggressor. The 21-year-old settled down in the second, showing his full arsenal of punches, as he banged Gutierrez’ body and also landed effectively upstairs. Hernandez cut off the ring in the third, often trapping Gutierrez (0-3) on the ropes, where he unloaded punishing punches that started to take its toll on the gutsy Las Vegas fighter. 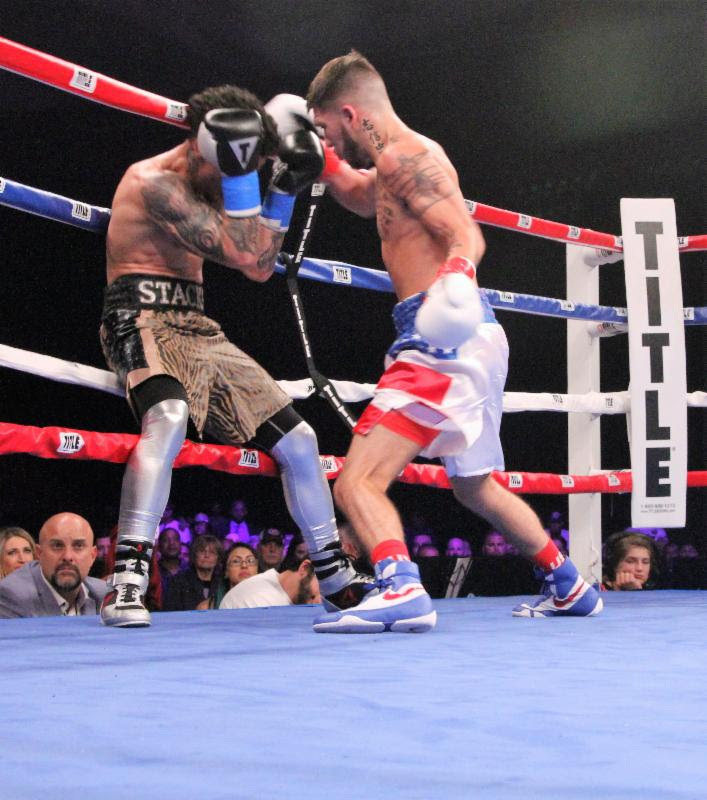 Hernandez’ dominance continued in the fourth, even as he surprisingly switched from orthodox to southpaw stance, hurting Gutierrez until his corner asked the referee to halt the action. “It doesn’t get better than this,” a beaming Hernandez said after the fight. “It means so much for me to bring boxing to Wichita, to all of Kansas, for these awesome fans. I started switching up a little because it was worked. I’d like to get back fighting again in two months. “I wasn’t to thank KO Night Boxing. This was the way I pictured it. As I was waiting in the tunnel, I could hear the crowd chanting my name. This was a great night of boxing. I want to bring more shows here. In the co-feature, gifted New Haven (CT) southpaw Tramaine “The Mighty Midget” Williams improved his undefeated record to 10-0 (3 KOs), displaying special ring skills on his way to an impressive eight-round unanimous decision over tough Eduardo “Thunder” Garza (6-2, 2 KOs). A classic boxer, Williams also showed some pop tonight, dropping Garza twice, once in the first round and again in the third. 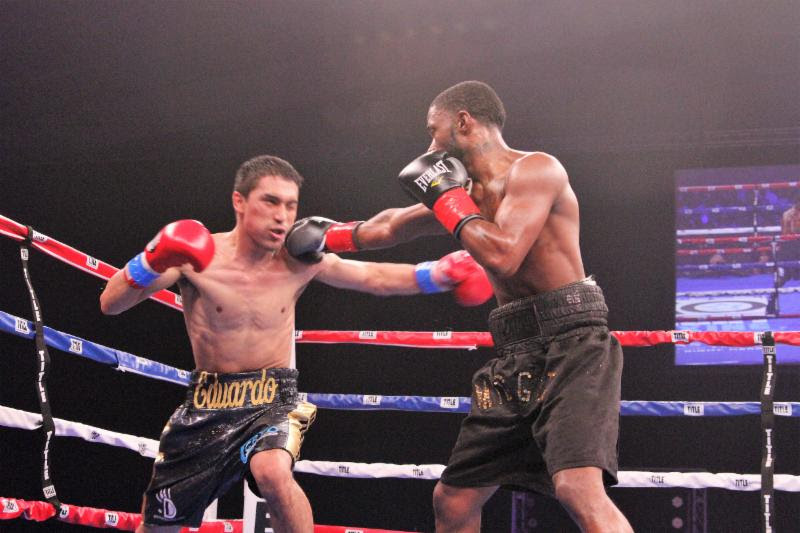 Williams, who made his promotional debut for Roc Nation Sports, rolled to victory by scores of 79-71 twice and 78-72. 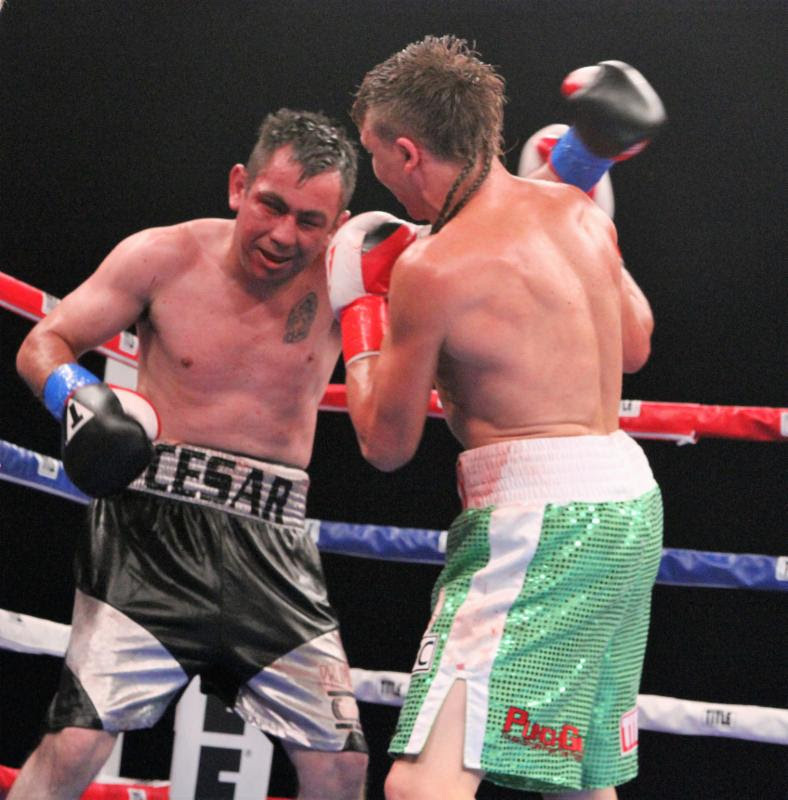 Relentless junior middleweight Neeco “Rooster” Macias (15-0, 8 KOs), fighting out of Tehachapi, California, enhanced his reputation as a rising contender on the regional scene, assaulting his game Mexican foe, Cesar Soriano (26-35-1, 16 KOs), from the opening bell until the very end for a hard-fought win by eight-round unanimous decision. A southpaw known for his non-stop motor, Macias connected with punches thrown from every conceivable angle, leaving Soriano no room to move or time to catch his wind, to win by scores of 80-71, 79-72, 78-73). Join us for this episode of the Jiggy Jaguar Experience! Get The Jiggy Jaguar Experience on iTunes, Google Play, Stitcher, Podbean, and more.